My day job was as an emergency room nurse. I retired from it in April 2009. I have been writing since I was a kid. That's a long time ago. LOL I first published with 5 short stories then into novels. I enjoy living here in the South but my original home is Bloomsburg, Pennsylvania. I have two sisters, one of whom is an artist. All of us are nurses because my dad wanted us to go into nursing because he wanted us to have a reliable job. I have to say that, no matter what the economy is doing, I've never been without a job. I guess that's a good thing. I have two pets all of which are rescue animals: the Golden Retriever Lily, and my cat, Liberty. My previous Golden Retriever, Kate, died last year on February 13 and an hour later, my oldest sister, Marlene ("Snookie") died. It was a horrible day for me filled with grief. This February 4th, I lost my big yellow kitty, Acorn, who succumbed to cancer even after his surgery a year ago. He was quite a character and I will miss him terribly. THE LIGHT OF VALMORA, Legends of Winatuke is now in edits. I'd like to share the cover for it and the blurb. I am so excited to have this story out. The first two books in the Legends of Winatuke series will be available at the $.99 bookstore. 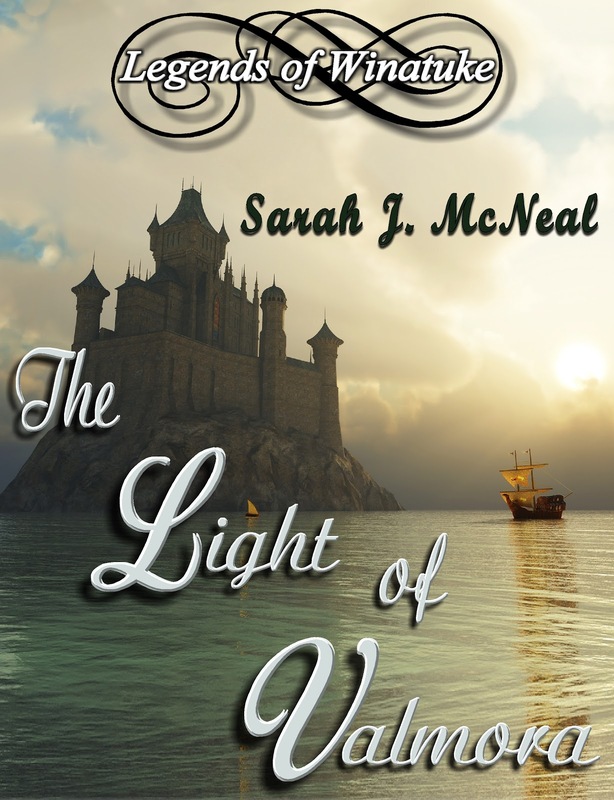 They are full length novels but I wanted them to be available for readers to enjoy the first characters and learn about the Beings of Light and their fight against the dark forces of The Dark Isle. All books are stand alone. 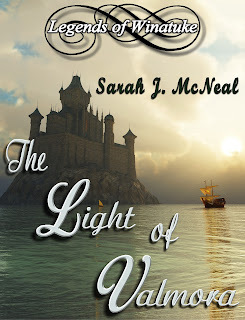 A quest for an enchanted light...a Gypsy’s love...and a warrior’s sacrifice to save Valmora. To free his father from the malevolent queen of the Dark Isle, Falcon must find the legendary Light of Valmora that lies hidden in the darkest place on earth— beneath the foreboding Dark Isle. To complicate things further, he is falling in love with Izabelle, the Gypsy woman who loves his brother, Peregrine. Once rejected by Peregrine, Izabelle wants to win him back. When she initiates her plan, his brother thwarts her strategy with an exciting alternative, but time is running out and the price of Valmora’s salvation may be the sacrifice of its greatest warrior and Izabelle’s last chance for love.